The first time we sunk our teeth into Cá Kho Tộ, we became huge fans of this dish. 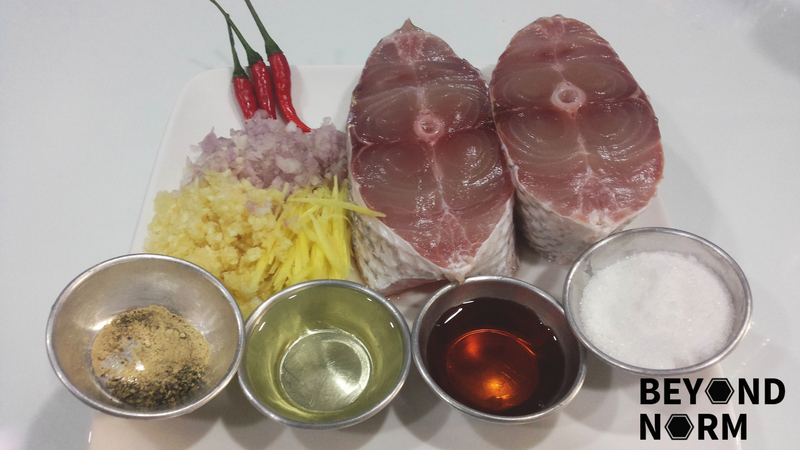 The fish steaks are braised with a good load of ginger, shallots and garlic along with the fish sauce and caramel sauce, not forgetting chillies. The result is an incredibly savoury, sweet and spicy dish . Cá Kho Tộ is excellently paired with steamed rice, cucumber/salad or steamed vegetables. 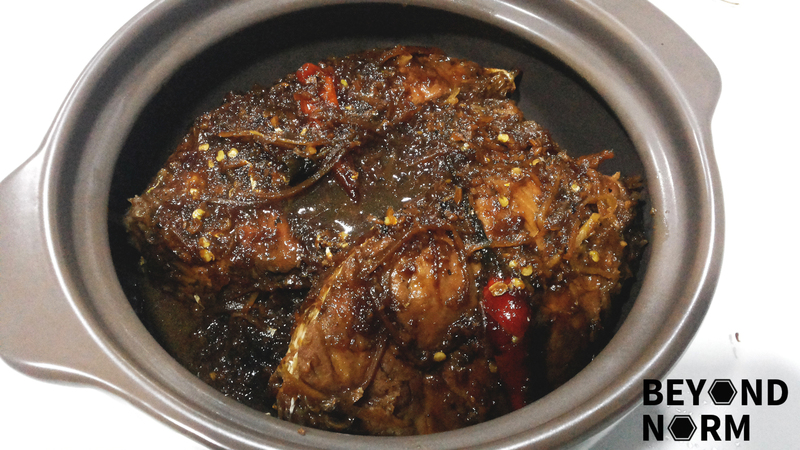 Traditionally, this dish is prepared in a clay pot but if you don’t have any spare clay pots on hand you can still make this in a non-stick pan. This is such a popular dish in southern Vietnam since meat and fish were plentiful that you can easily buy a clay pot of frozen precooked Cá Kho Tộ from the supermarket then bring it home to de-frost and heat it up. Viola! Easy isn’t it? Now, let the adventure begins…. 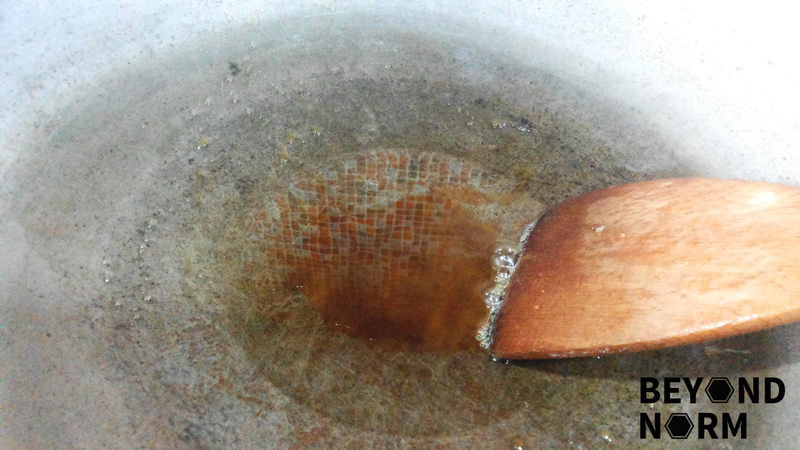 Add oil to the pan or clay pot and make sure is really hot. Then add sugar and wait for it to be melted till it turns into a caramel liquid. Add ginger, garlic and shallots and fry till fragrant. Add fish in a single layer. Add fish sauce and chilli. Gently flip the fish over to the other side with a spatula after a minute. Cover the pot and simmer for about 25 to 30 minutes. 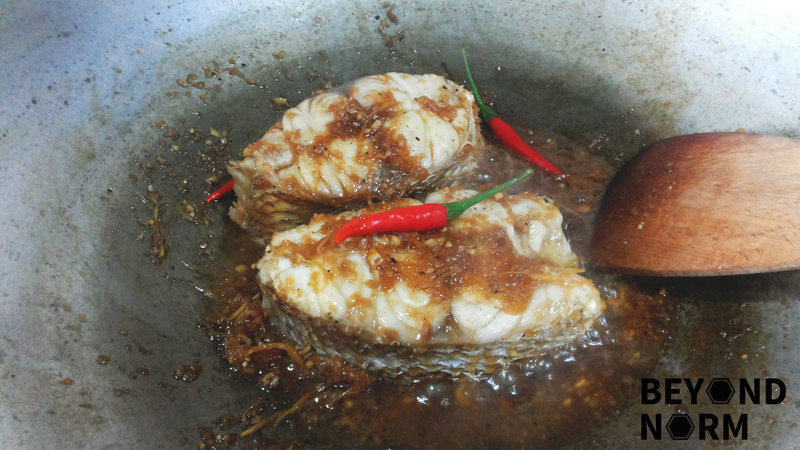 During the simmering process, occasionally turn the fish gently with a spatula to coat both sides with the caramel sauce. 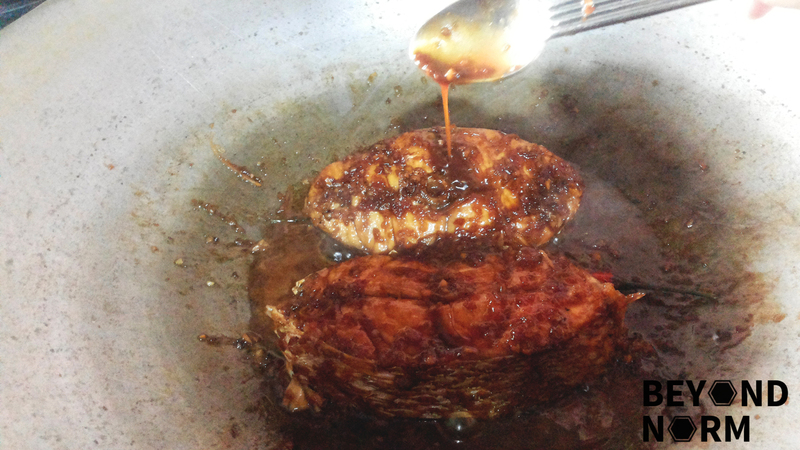 Also use a spoon to spoon the sauce over the fish to ensure that it is fully coated. 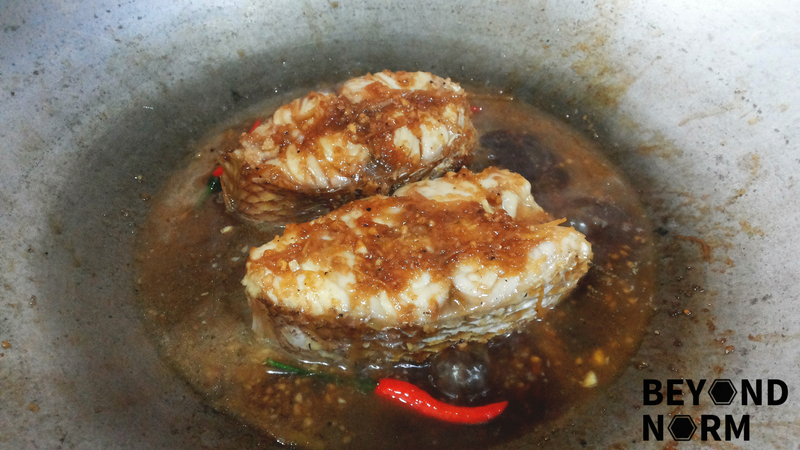 It is done, when the sauce is thicken and the fish steaks are covered with rich brown colour. Garnish and serve with steamy white rice and fresh slices of cucumber.